Peter Poor began his life with the Sport of Polo at the age of 8. He has since made a career of introducing people to polo, playing polo and being an enthusiastic promoter of the sport. The Stage Hill Polo School and Club, with Peter Poor as President, has been the go-to place to learn polo in New England for 30 years. The longevity of the Stage Hill is an indication of Peter Poor’s business acumen and his love of the sport of polo. Peter Poor became a member of the United States Polo Association (USPA) in 1967 and has been a strong presence and leader in the USPA since that time. He has been the USPA Northeastern Circuit Governor for over 12 years and now currently serves as Governor at Large and Chairman of the Tournament Committee. 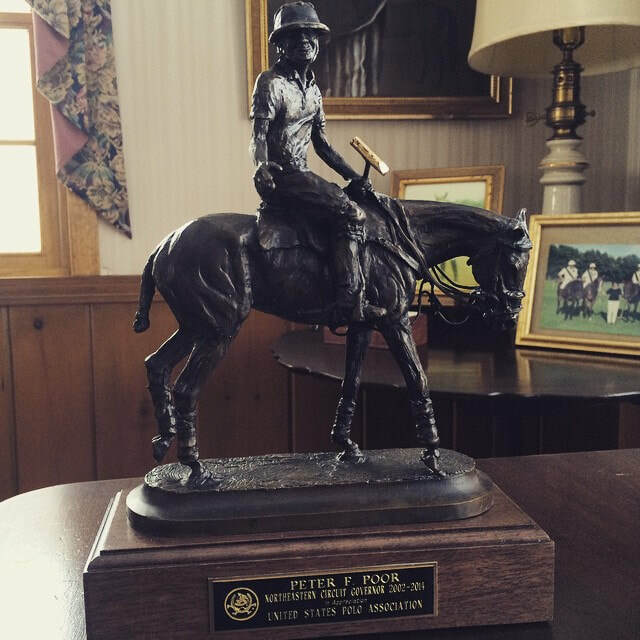 Peter is a USPA Certified Polo Instructor and Massachusetts Certified Equine Instructor. He is a longtime member of the Myopia Polo Club in Massachusetts. As an enthusiastic and active proponent of the sport, Peter Poor has been responsible for training or encouraging an extraordinary number of USPA members over the years. Peter is from a family of Polo players. 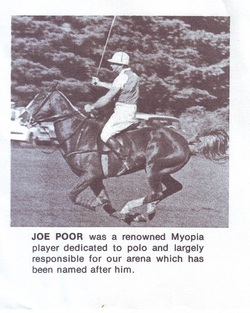 Here is his father, who played at Myopia. Peter Poor playing the number 4 position here with his three daughters, Jennifer, Amanda and Alyson, posing for a picture with wife Sharon.